Laura has always had a passion for Disney. She took her first trip to Walt Disney World, in 1997 with her family and stayed at Dixie Landings Resort (now Port Orleans Riverside.) Since that trip, Laura has traveled to Walt Disney World 9 more times, 7 of them since 2011! Laura joined The Magic For Less in 2013 and is a graduate of Disney’s College of Knowledge! In June 2014, Laura and her fiancé got engaged at The Hollywood Brown Derby. They are currently planning a July 2015 wedding at Epcot in the Italy Pavilion and The Living Seas Pavilion. 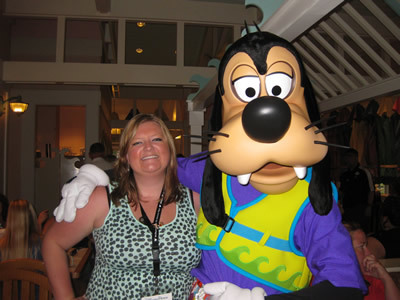 Laura loves helping others plan their Disney vacations, and wants to make sure they have the most magical vacation possible!